Yesterday, I will admit it, I watched the services for the King of Pop… I had to see it for myself, and all in all , it was well done. But it does bring up some questions that we as a society must answer. The media and fans and even some nonfans have turned Michael Jackson in to a saint a world peace maker a ambassador for race relations, and well the truth be told he was a troubled man with many issues. I too think that he was a very gifted and multi talented person, and I agree that he brought happiness to the world through his gift. And yes he should be praised for this, but the out pouring of grief for this man, whom most of us did not know on a personal level is, well jest just say its a tad bit overboard. I do not list them to be disrespectful, but to point out that MJ was not a saint, as most of us are not. That we must be willing to accept him as a whole being. He was not a monster as some would like to make him to be, but nor is he a saint as others would like us to believe, but what he was, was human, like all of us are. To be fair to him we need to list all his traits, good and bad, but we must always keep in mind that he, like us all, was human. Mr. Jackson was a frail little boy locked up in a mans body, the issues run deep with in his soul and in some ways we all have a little responsibility for this, we as fans place him up high, create a god of him than we abandon him in his hour of need, we play to his vulnerabilities to fulfill our needs, leaving him empty and spent. We treat our stats as our own personal play things and disregard them when we are done with them. Mr. Jackson, like all of us was given the gift of free will, he chose to do the drugs and other acts of self pity and hatred, but lest us not forget that we all, in someway, enabled him to do so. 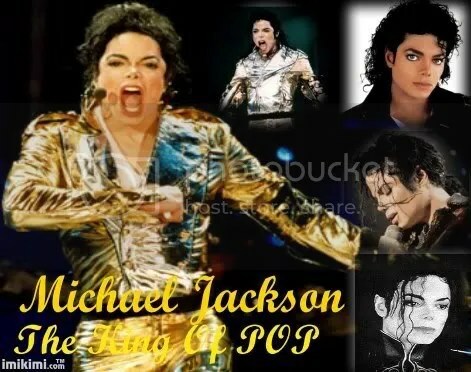 You may not be a Jackson fan, so you may be saying, “Not Me”, but I would say to that, “Yes You” because if you did not do it for Mr. Jackson you did it for some other star. Indirectly we all all played a roll in this, in someway we all enabled him, in some way we all can take a small bit of reasonability for his demise just like in some way we all can take a bit of responsibility for his rise to stardom.